Change of schedule with the Dennis Oland retrial. Crown prosecutor Derek Weaver tells Justice Terrence Morrison they want to take more time to consider the defence's application from yesterday and whether they want to call any additional evidence. It’s not clear why the defence wants the declaration - in fact the defence disputed July 7 as the day of the first roaming error in trial #1 - but they have mounted what even they acknowledge is a novel legal effort, normally used in civil cases, to force the declaration. Defence wants officer's testimony about Rogers Communications' search for Richard Oland's missing iPhone coming back with a 'roaming error' on July 7, 2011 declared as fact. Justice Morrison agrees the issue is complex and the crown is entitled to more time. That caused problems for today since no witnesses are scheduled. Court adjourns for the week. Judge acknowledges it's a complex issue. Crown and defence will set aside some time in the trial schedule - likely the week of Feb. 19 - for arguments on this application. Judge wants them to provide some case law on the matter. Meanwhile, it sounds like the Crown and defence have agreed to replay at least some of the DNA evidence from Oland's first trial in 2015, which should help save some time. Defence lawyer Alan Gold tells the judge he expects the evidence portion of the trial to wrap up March 8, as anticipated. 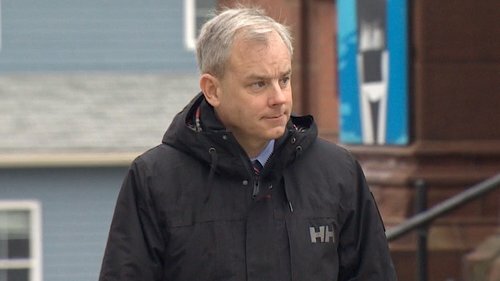 For those who were looking forward to hearing more cellphone evidence today, it sounds like you'll get your fill on Tuesday when the Dennis #Oland retrial resumes at 9:30 a.m. The Crown expects to call cell tower expert, radio frequency engineer Joseph Sadoun to the stand. 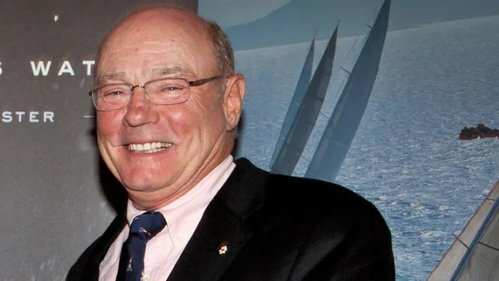 Here's what we know: Richard Oland's cellphone is missing after his body is discovered the morning of July 7. That afternoon SJ Police Sgt. David Brooker contacts Rogers to alert them of a crime and that police want information about the cellphone - recent calls, texts etc. Rogers has a special unit just for this purpose. Sgt. Brooker notes there is also discussion about Rogers trying to locate the phone for police by sending out signals to find it - something called 'forced registration'. Brooker testifies in court he is told on July 7 by Rogers a search comes back "roaming error". The crown believes this is a mistake - that the forced registration does not happen until July 9. The defence disputed that and wants Brooker's recollection declared a true fact. There is more than a little irony in the argument shaping up. The defence claiming the police had it right - the crown arguing the police are mistaken. It's not clear why this is important to the defence but they have been setting this up for sometime. They asked careful questions of Brooker on this issue 4 weeks ago and of Sylvie Gill with Rogers yesterday. Normally in a trial a conversation one person like Brooker has with another person like a Rogers employee is considered hearsay and the content of the conversation cannot be relied on as being true.